“For your school project, I want you to compile pictures of Filipino Scientists and state their contribution to the field of Science and Technology.” our Science teacher said. Wow. 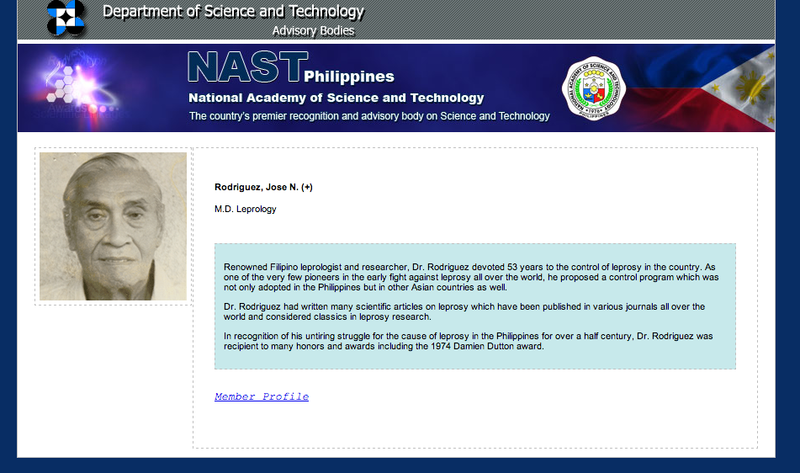 Where can I possibly get pictures of Filipino scientists? The best thing to do is go to the school library and photocopy some pictures found in textbooks and viola, project done! But we were not allowed to photocopy. I’m glad it was a group project and one suggested that we go to the nearest school supplies shop while keeping our fingers crossed that a poster featuring Filipino Scientists is on sale. It seems like Science really found a way for us to complete our task on time. We bought three posters featuring various recognized Scientists in the Philippines. Carefully writing the achievements of every scientist on the bond paper with a black ink (I am using ballpen now â€“ I’m officially and adult teehee) from various textbook as sources, I encountered the name â€˜Dr. Jose N. Rodriguez‘. According to a write-up, he devoted 53 years of his life to study and search for the cure for Leprosy. I asked my classmate what Leprosy is, but she gave me a non-encouraging answer. I went to school the next day and asked my teacher and she did her best to explain what Leprosy is. Years later, Maalaala Mo Kaya featured a story about a town with lepers. I remember Spencer Reyes playing the lead role and the story of that episode made me cry. It is all about the sacrifices and rejections leper patients experience once they are â€˜thrown’ to a certain island. Names of places such as â€˜Culion’ and â€˜Tala’ were mentioned on that episode. I bugged my dad with questions..I showed my old Science textbook to him and then he smiled. I asked him why there’s a sudden glow in his eyes. â€œThat’s my grandfather.â€ he proudly confirmed. Wow. My great-grandfather is a Scientist?! The father of my grandfather is recognized worldwide for his research works? Who wouldn’t be proud of that one? Sometime in 2008, I joined in a contest where the grand prize is six roundtrip tickets to Busuanga (Coron). I won in that contest and it made me really happy. It was my opportunity to bring my grandparents to this part of the Philippines. My Lolo Peping was just between 17-20 years old when he last went with his father to Culion for an inspection. Apparently, the airline cancelled their flights to Busuanga weeks after they declared my victory. They gave me six roundtrip tickets to Boracay instead. Not bad, right? My first Boracay trip was special because I was with my grandparents and highschool buddy. What a good way to launch a Boracay addiction! Then I won in another contest two years after. This time, it is a trip for two to Coron. Free Coron Island Hopping Tours, accommodation and even our meals were provided. It’s like a honeymoon package except that I was with Ada. I asked the boatman if we could pass by Culion. He gave me a rather discouraging answer by saying that it will take us more than an hour to reach Culion and that we need to pay Php3,000. How much money do I have in my pocket? Not enough to even reach half Php1,500. It took me almost three years before I pushed through with another Coron trip. I planned a trip this time with my friend Yoshke, who was more than willing to join me explore the Northern Part of Palawan. It will be our first tandem trip and we’ve been cancelling dates because of our conflicting trip schedules. We were both anxious with the schedule so we blocked a specific week where we’re both available and no one can stop us! The trip almost didn’t push through because of reasons I cannot disclose, but let’s just say that we’re determined to go and we found a way to get there as planned. We’ve both been to Coron before and did the usual tour, but I told him beforehand that Culion is the only destination I am eyeing to visit. 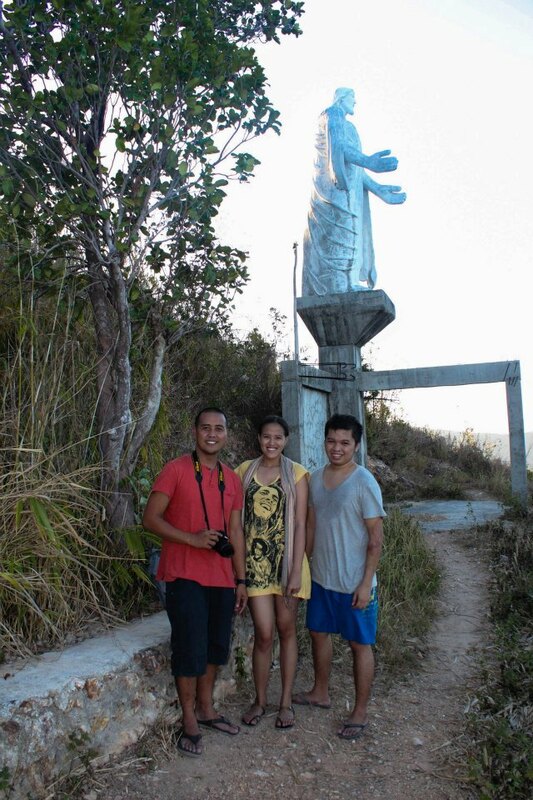 As long as I visit Culion in this trip, I’ll be fine and grateful forever. The other spots are just a bonus. There’s a limited source of information about Culion online, but we discovered a cheaper way to get there. 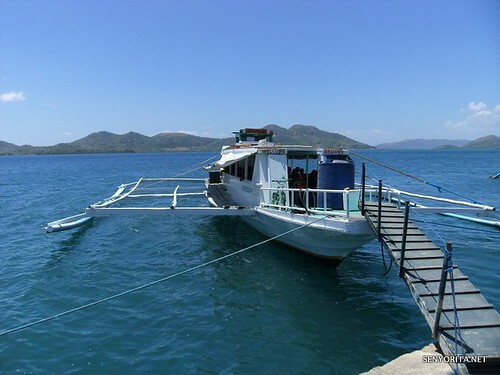 The ferry leaves at 2PM from the Coron Port Area and arrives in Culion at 3:30PM. It was a hot Tuesday afternoon and I should be ranting about the weather, but I am too excited to even bother 😛 We even met a photo hobbyist named Jun while on the ferry. He shared that he is taking a lot of pictures for his upcoming blog ventures. 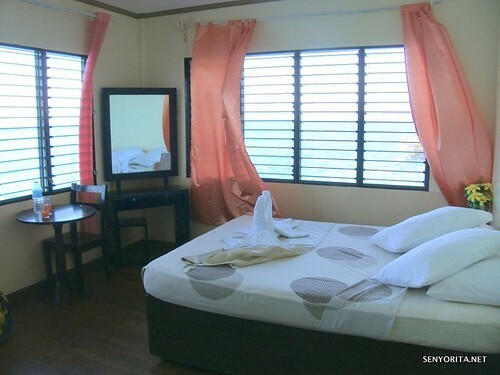 We went straight to Hotel Maya upon arrival in Culion Island. Ms. Jona and the rest of the staff welcomed us with complimentary drinks. Woot. Loving it already. We went straight to the view deck and we were advised that we can take a very nice sunrise photo in the morning. We left our bags at our room (a.k.a. Kabel-Kabel room). I was too excited to go to the museum. Kuya Toto became our tour guide. 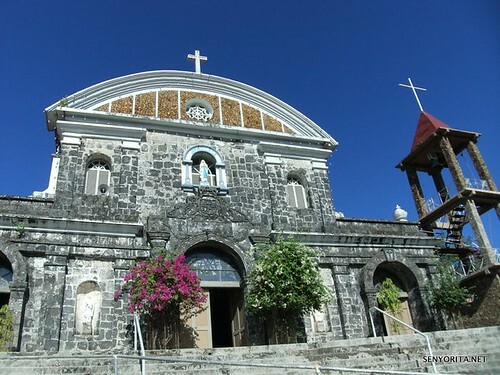 At first, he showed to us the Culion church. 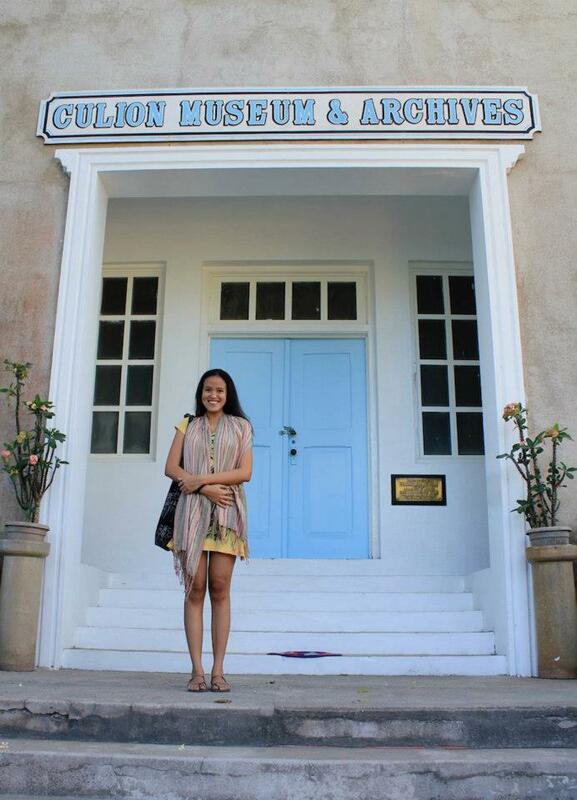 Me infront of the Culion Museum – Please open the door! Please!!! The caretaker arrived after more than ten minutes. 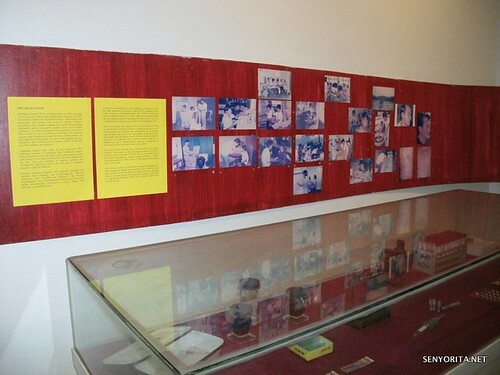 I am impressed with the way they were able to preserve some of the important documents like pictures, clippings and many more. I went to the left side of the museum and viola, the photo I’ve been looking for! Like a tourist who sees an important historical figure for the first time, I asked Yoshke to take a photo of mine beside my great grandfather’s photograph. If only he can see me now. I bet he’s talking to his grandson (my father â€“ yes, he’s up there in heaven too) and I hope they’re both happy to see me in Culion. 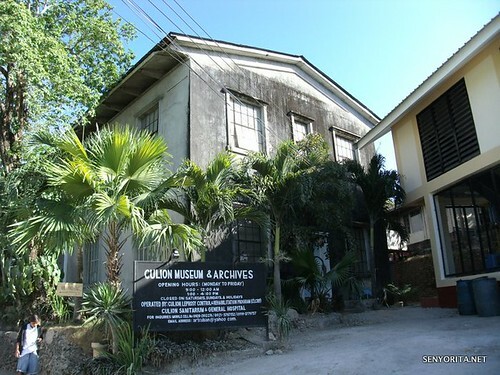 I would like to salute the people behind the Culion Museum and Archives for preserving the artifacts and for giving importance to the people who worked hard for the betterment of the patients. 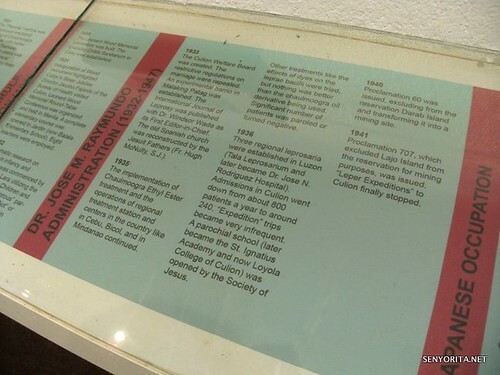 What I truly appreciate in this trip is that my great grandfather’s contribution to the study of Leprosy and Culion in general is still being recognized up to this day. There are some places in the Philippines wherein they don’t really pay too much attention to their history anymore. Blame it on the destruction of important sites just to build shopping malls or real estate properties. Blame it on how easy our life is now compared to the past (with the use of technology etc.) and whether we admit it or not, we are taking things for granted. Thank you for sharing to us this very personal journey to find your roots. Dito mo ako halos napaiyak Mica, parang MMK. What a beautiful journey. I can just imagine how rewarding and meaningful it was. 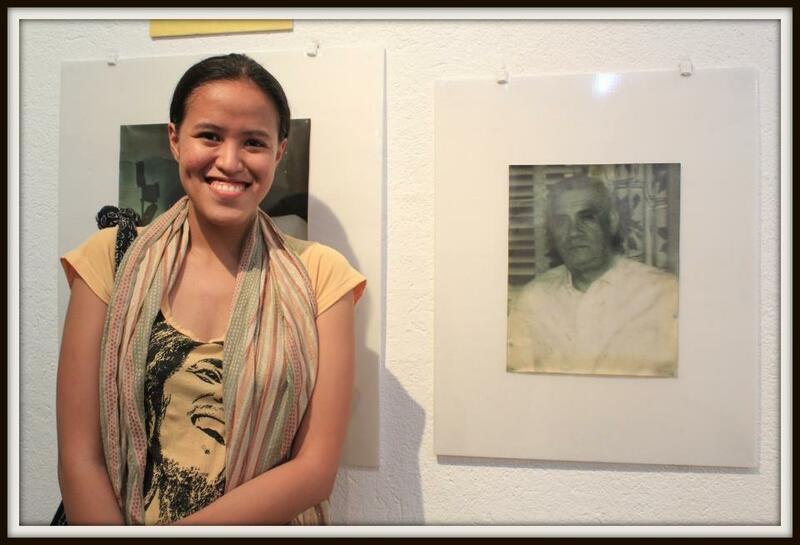 It gave me chills when I saw the photo of you next to your great-grandfather. That’s truly special. Truly a rewarding experience! 😀 one of the most simple yet special trip I had to date. That’s a very interesting in terms of culture and the landscape place, so I’m not surprised you really want to go there :). It’s on my list as well!! What a remarkable journey! It’s great that you got to have this connection with Culion Island, thanks to your great grandfather. Culion is in my Philippines bucket list!!! Thanks for sharing tips and info here!